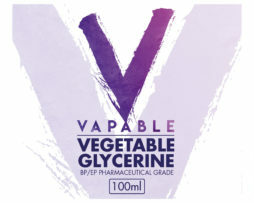 100 ml of ready to use pre-mixed e-liquid base, made using the very finest Vegetable Glycerine and Propylene Glycol. 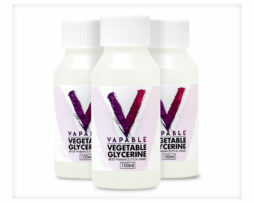 This is a ready to use pre-mixed e-liquid base, made using the very finest USP/EP Vegetable Glycerine and Propylene Glycol for e-liquid mixing. 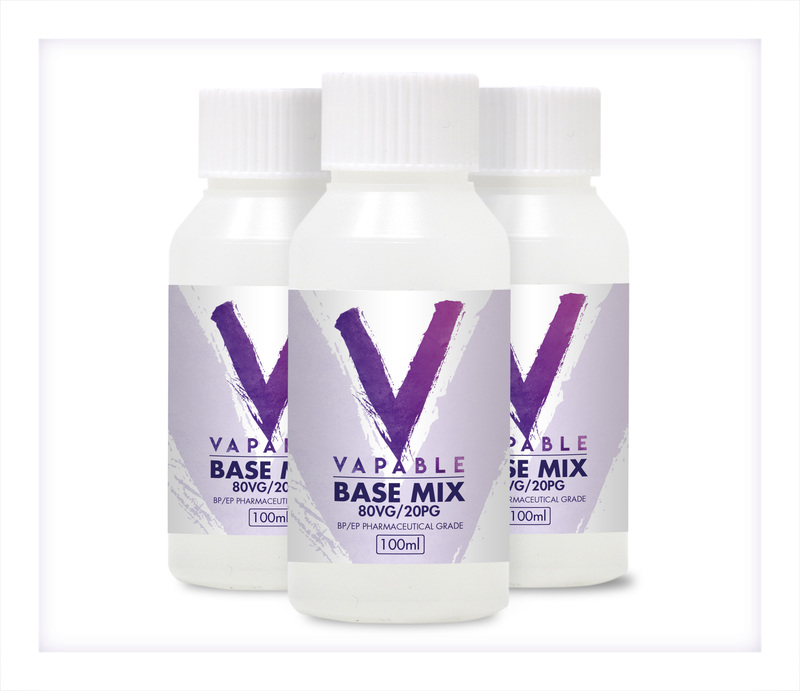 By using our pre-mixed base you can create your own e-liquid quickly and easily- just add your favourite flavour concentrates and optional nicotine to mix it the way you like it. The 80:20 ratio means that this high VG e-liquid base is perfect for maximum vapour production. 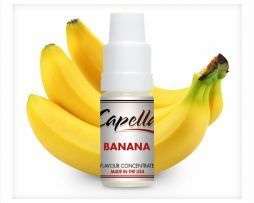 Note: the addition of 15% of a PG based flavour concentrate would bring the ratio of your finished e-liquid to 70/30. 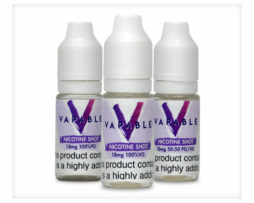 Other DIY E Liquid essentials can be found here. 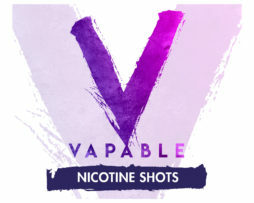 Vapable base liquids use only the highest quality pharmaceutical and food grade ingredients, sourced from the UK and EU and conform to British and European safety standards. 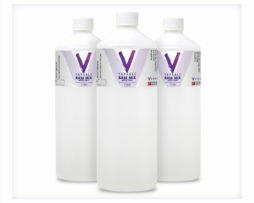 Every bottle of base liquid we sell is mixed by hand in our hygienic UK production facility- this way we know that we are delivering great quality in each and every bottle. This product is batch tested and complies with the requirements of the latest version of the European Pharmacopoeia, USP and the requirements of the EU regulation 231/2012 for food additives (Glycerol (E422)). 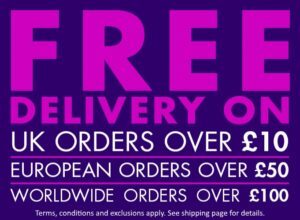 This product is eligible for all of our standard shipping options within the UK mainland (including free delivery).